There is no shortage of Bluetooth earphones today, so Sony’s new WF-SP700N sports earphones have their work cut out to impress users who are spoilt for choice. What they bring, however, is digital noise cancelling, something that most similar sports-focused earphones don’t offer. It means they can be as useful on a plane as at a gym. When I tried the WF-SP700N recently, background noise in my living room was effectively cut out. I didn’t notice my daughter trying to speak with me. Even the sound from the TV was surprisingly cut out. This is a big deal because most noise cancelling earphones tend to be bigger or are still tethered to a separate unit carrying the battery and electronics. 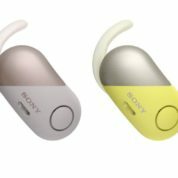 On these Sony earphones, you simply push each small ear bud into your ears. No wires at all, which is good news whether you’re out on a jog or pushing through crowds on the subway in the morning. This is where the lightweight design comes in handy. At just 7.6g (without counting the arc supporter), the WF-SP700N doesn’t weigh down on the ears. The earphones are also relatively easy to wear, with the rubberised supporter or fin ensuring a comfortable yet snug fit. We’ve come a long way since Sony’s Smart B-Trainer three years ago. It helps that the WF-SP700N is also waterproof. Being IPX4 rated, the earphones should be fine even when you’re caught in the rain or if you’re chilling by the pool. For those wondering about safety, you have an option to turn on the Ambient Sound Mode. It lets you hear what’s happening around you. It’s something I’d recommend when you’re jogging on footpaths these days. You’ll have to look out for reckless bikers and e-scooter users who are too common today. What about sound quality? For a pair of earphones aimed at sporty users, you don’t expect it to be the top selling point. The WF-SP700N doesn’t sound awful, to be sure, but it lacks some of the resolution and clarity you get out of a more expensive pair of earphones like B&O’s BeoPlay E8. Plus, Sony’s bass-heavy presentation, now even heavier thanks to an extra focus on the low end, is not my cup of tea. The 6mm driver units are decent enough but Sony is clearly aiming for people who think more bass is always good. I won’t complain if I’m out for a jog, since I’d probably be worrying about my breathing rather than hearing the best music. However, if you want some quality to go with, say, a quiet afternoon at home, I’d recommend a separate pair of earphones. One major drawback for truly wireless earphones is battery life. With the Sony earphones, the need to keep things lightweight also constrains how big a power pack can be integrated into the design. You can play music non-stop for three hours, according to the Japanese firm. So, you’d likely be okay for a daily commute, and perhaps a flight from Singapore to Kuala Lumpur. Definitely not to Hong Kong or Taiwan, though. Of course, you can use the included compact case as a battery pack as well. It’s good for two full charges – you just have to wait for the earphones to be juiced up after they are spent. And speaking of the case, Sony has unfortunately gone for form over function. It impresses when you first slide it out neatly to reveal the charging base. Try placing the earphones in the right position and you’d quickly realise how hard it is to fit them into the case. No wonder there’s a set of instructions for what should have been the simplest of tasks. 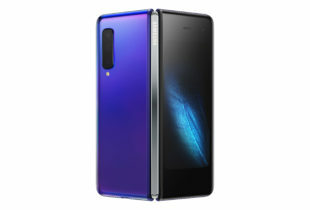 Going for S$299 in Singapore, the Sony WF-SP700N joins a growing list of truly wireless Bluetooth earphones that let you connect easily to your phone. What sets it apart are the comfort, snug fit and noise cancelling features. If you can look past its flaws, like a difficult-to-use charging case and a bass-heavy sound, these new earphones will be handy for a workout. They aren’t cheap but they do have some attractive features that make them worth checking out.